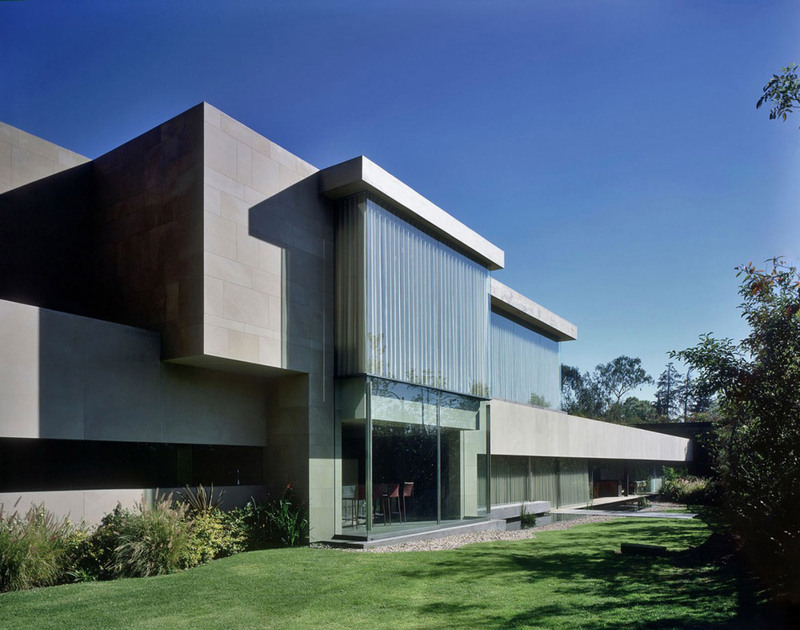 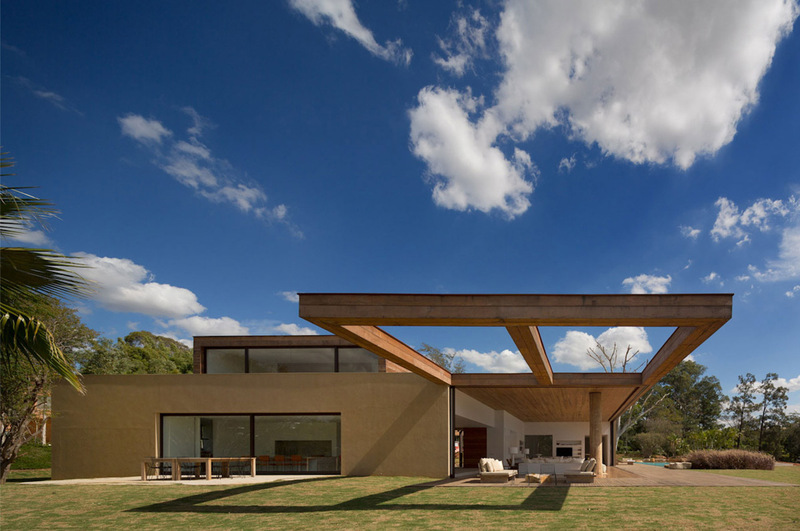 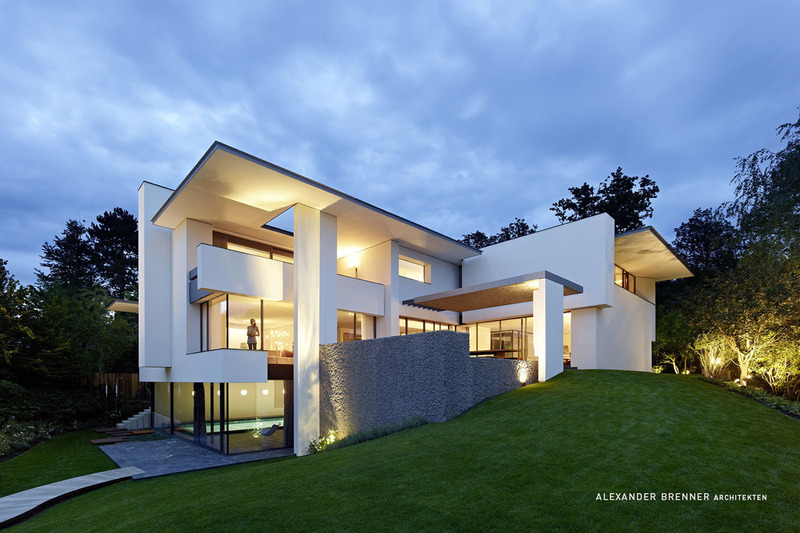 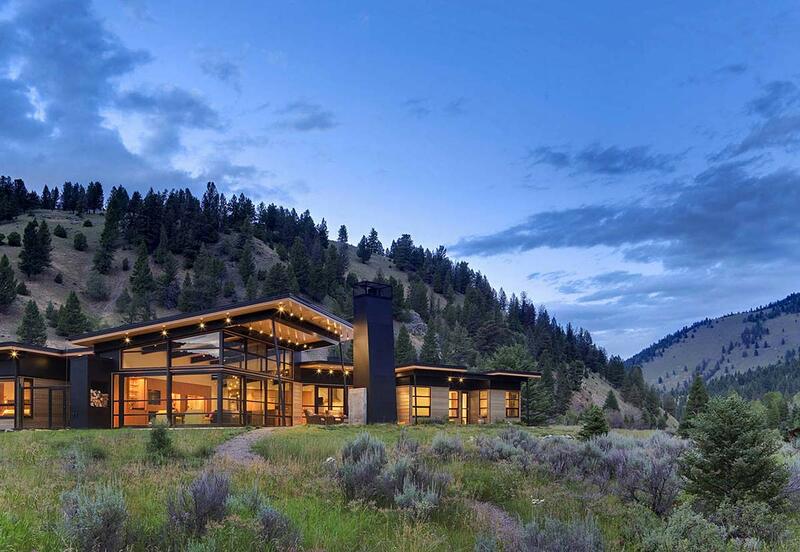 Casa K was completed in 2012 by the New York based architects Studio Arthur Casas. 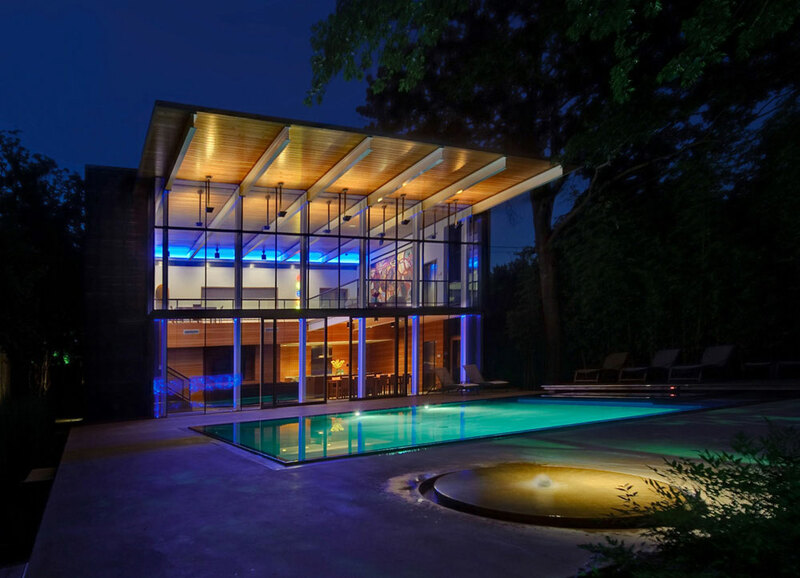 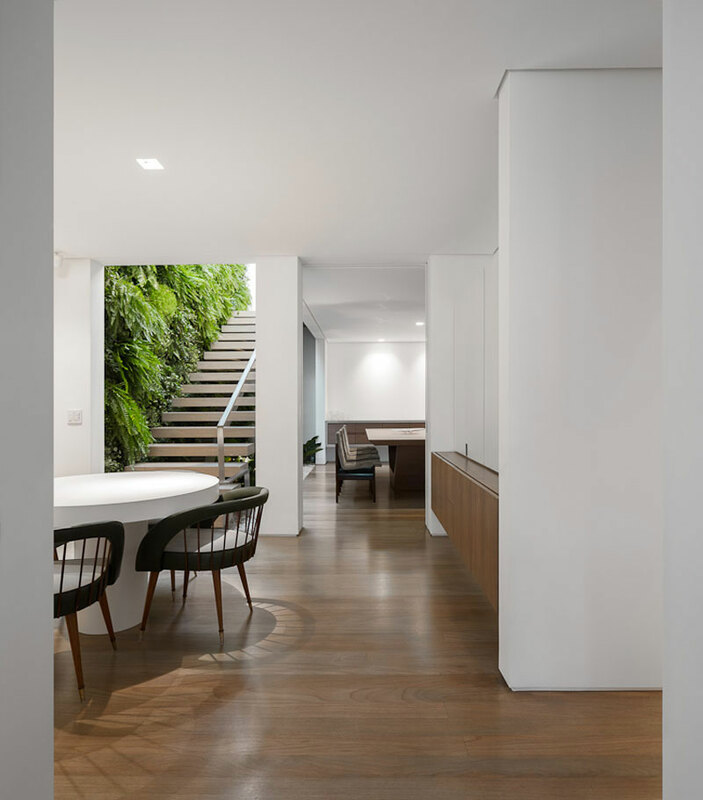 This elegant home was completed for a young family, the clients required privacy and comfort in a dense urban area. 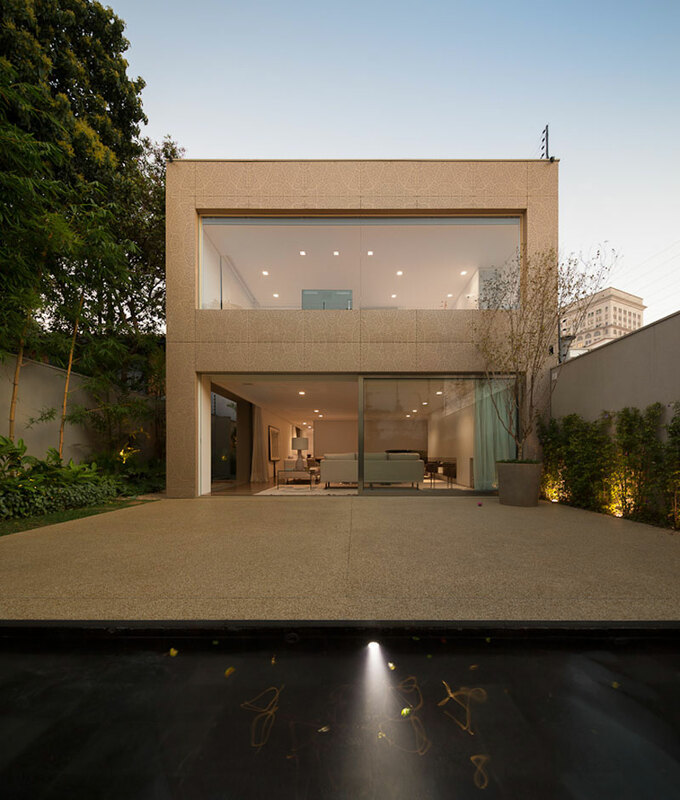 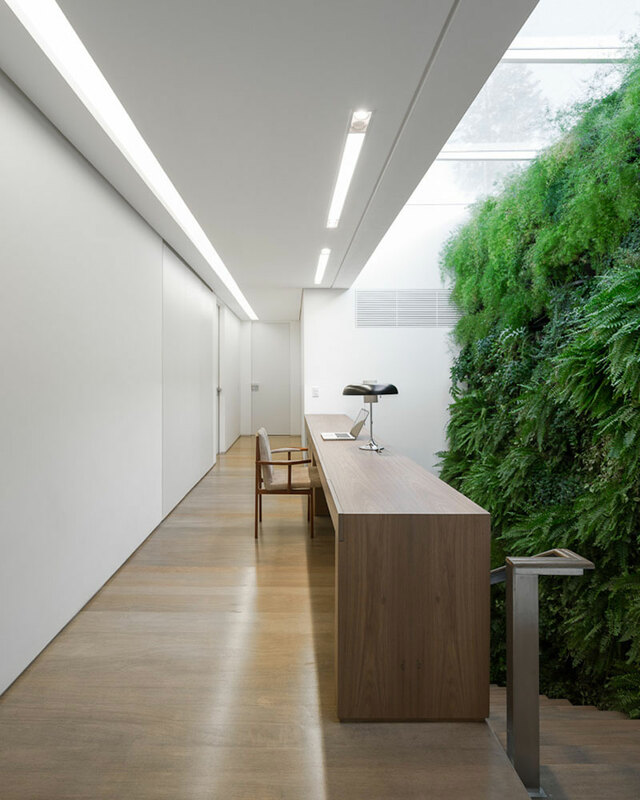 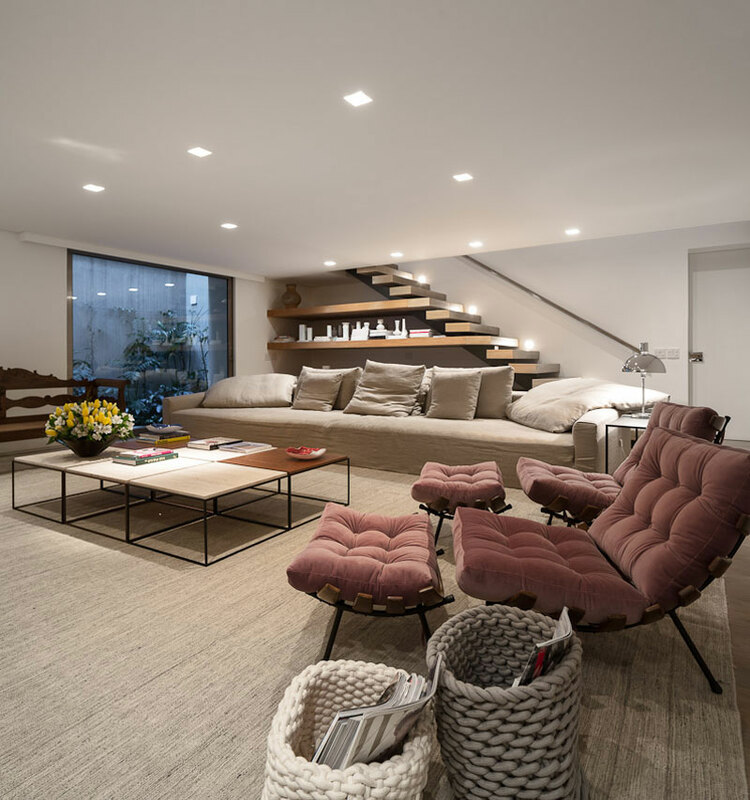 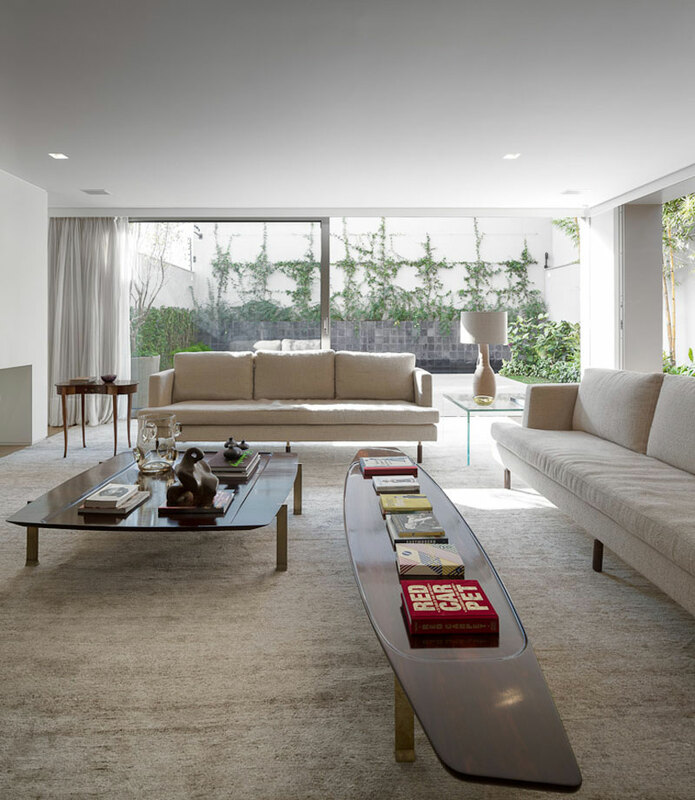 This home is located in São Paulo, Brazil. 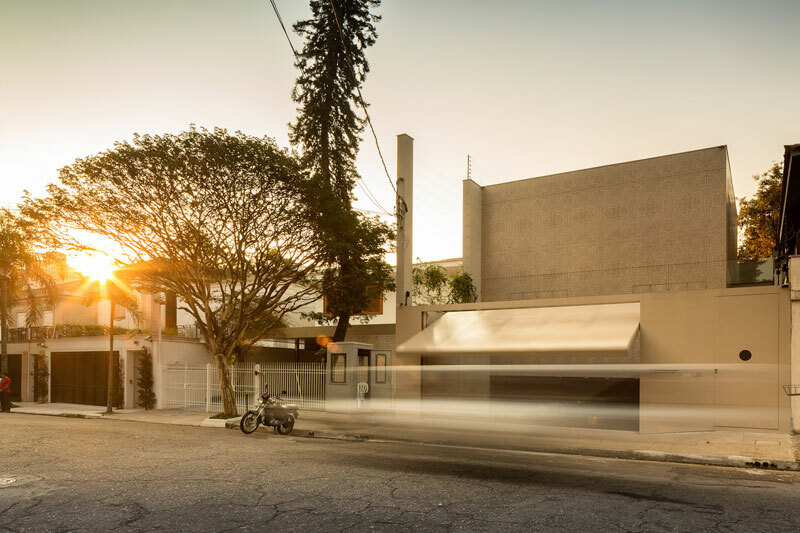 The division of the space we proposed is quite simple: garage, service area and home theatre in the basement, kitchen, dining and living room on the ground floor, bedrooms on the first floor. 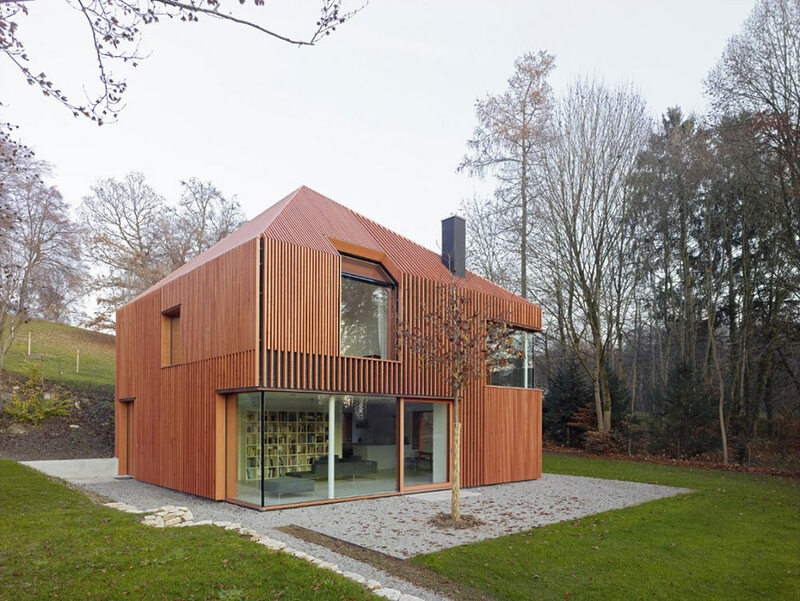 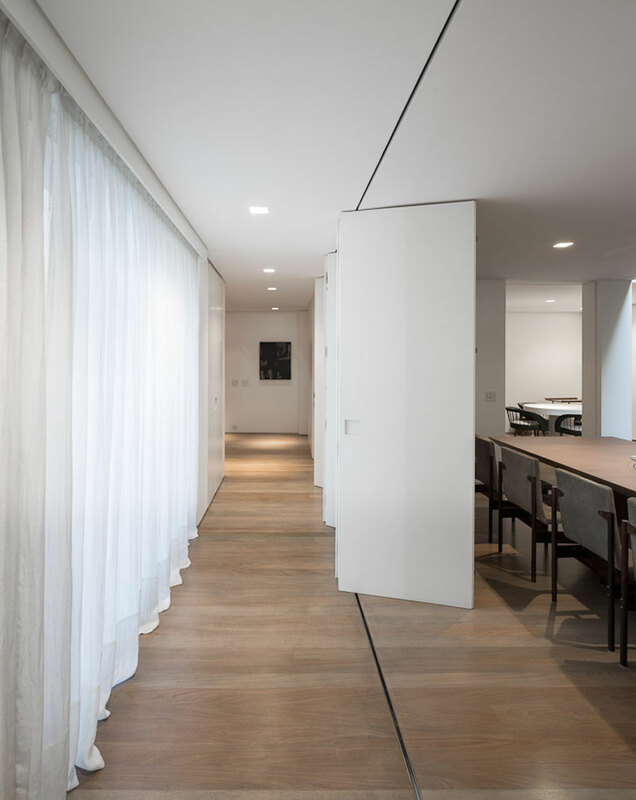 Even though we changed part of the structure, most of the openings were maintained, which brought up the idea of covering the whole surface of the house to bring unity. 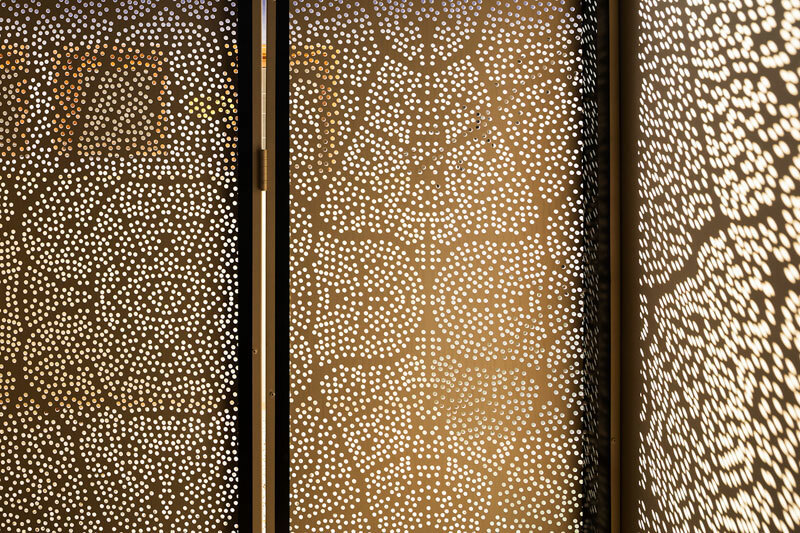 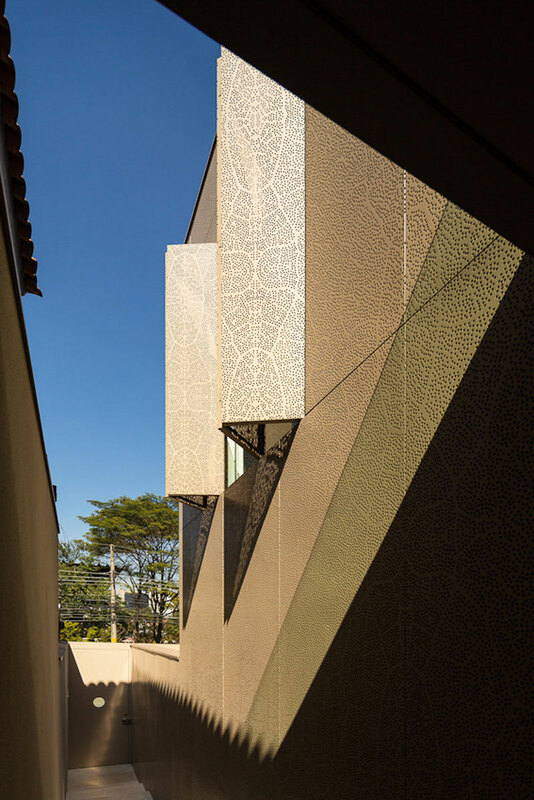 The client is a stylist and stimulated us with the task of coming up with different possibilities to “dress” the house, we chose perforated metal panels, with a pattern based in the photograph of a leaf. 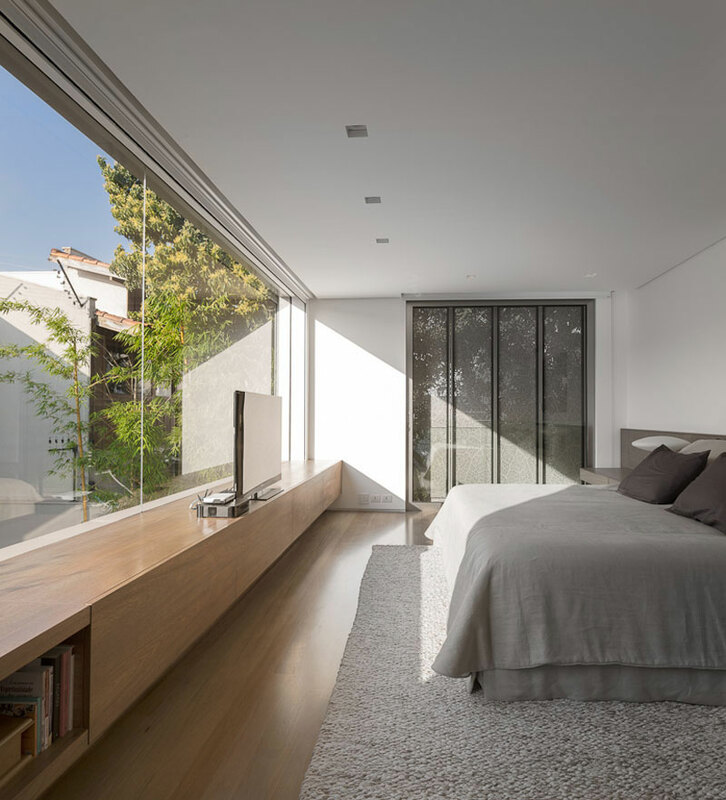 In this way the proximity of the neighbours became less oppressive and the spaces create an interesting relation with the variations of the sun.